This fascinating novel about a young man's struggle to understand his girlfriend's conversion to Catholicism is a must-read for any Catholic who is concerned about the future of the Church in an increasingly secular society. Though the problems Buck explores here belong to Ireland, many of them are reflected in American culture as well, and the fact that Buck is able to explain each one so clearly and with respectful consideration of all counter-arguments makes me want to compare him to C.S. Lewis. Though this is not an explicit guide to apologetics, it is very useful for making the teachings of the church clear and could be helpful for teens and adults who want to be better able to explain their beliefs to non-Catholics and future Catholics. I found the book both entertaining and educational, and I look forward to the sequel, which the author says will be out in 2019. 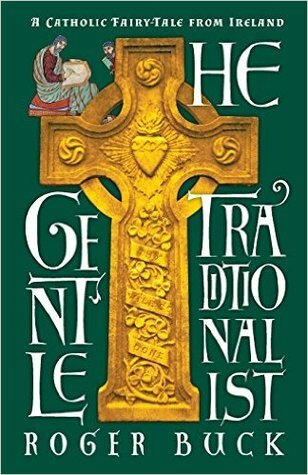 Sign into Goodreads to see if any of your friends have read The Gentle Traditionalist.